You must see this boat to appreciate - it is sharp!! The White Mirage Cruise 8522 LZ pontoon is built for day under the sun with premium loungers. And when it's time to play, a convenient rear entry ladder for easy water access. Color may vary. Boat length - 23' 10"
Pictures show white S-3 with wake tower. The one in stock is Caribou Brown with a Champagne Stripe. Overall Length = 24' 10"
Experience the breathtaking style, power and performance of the incomparable S series. With a sleek new rail design, textured graphics, and two-tone automotive-style interior. A suite of premium amenities comes standard like the spacious extended deck, 10' bimini top, and lighting. 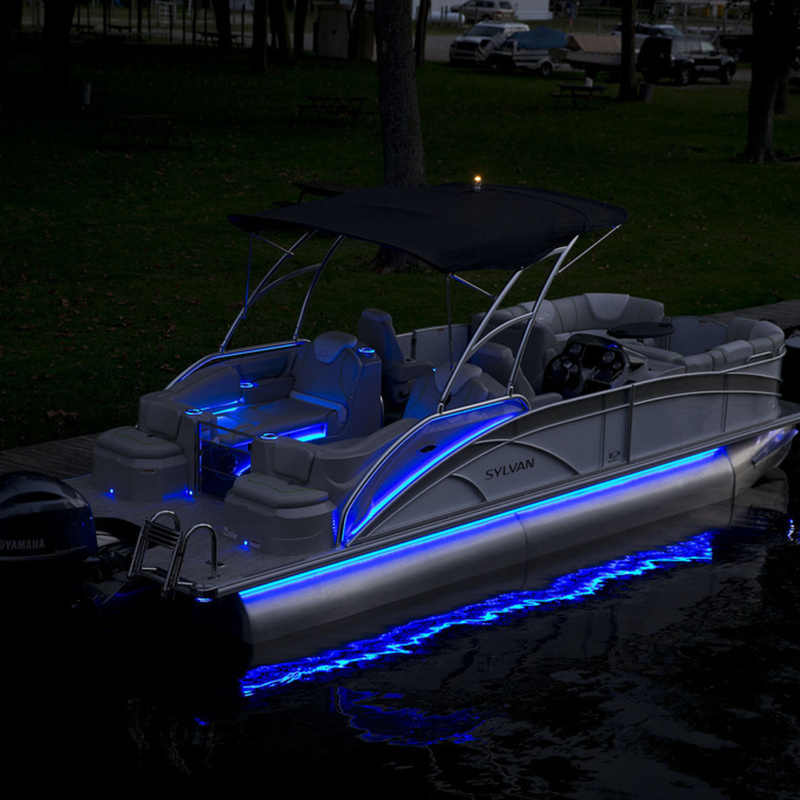 With the Mirage 8522 Party Fish LE-S pontoon boat, there is truly something for everyone. With luxury seating and the quality performance you expect from a Sylvan pontoon boat, the Party Fish goes above and beyond with deluxe fishing chairs and spacious fishing areas for the fishermen in you group.